WCCLS Celebrates Launch of Expanded E-book Options! Join your friends and neighbors at the Hillsboro and Tualatin libraries on Tuesday, September 23rd to celebrate the launch of the Washington County Cooperative Library Services’ (WCCLS) new 3M Cloud Library service! WCCLS is pleased to present this easy to use e-book service that will work on your Apple or Android device, Kindle Fire, PC or Mac. The 3M Cloud Library app is a snap to get set up on your device and links up to your WCCLS online account. Attend one of the two launch parties to get a personal demonstration of the new service, enjoy refreshments, and enter to win a free Samsung Galaxy tablet (courtesy of sponsor 3M Cloud Library). Hillsboro Main Library Launch Party: 11:30 a.m. – 1:30 p.m. (2850 NE Brookwood Pwy). Enjoy special remarks from Hillsboro Mayor Jerry Willey, Interim Library Director Linda Lybecker and WCCLS Director Eva Calcagno. Tualatin Public Library Launch Party: 4:30 – 6:30 p.m. (18878 SW Martinazzi Ave). Featured speakers include Tualatin City Manager Sherilyn Lombos, Library Manager Jerianne Thompson and WCCLS Director Eva Calcagno. Doug Monson, a representative from 3M Cloud Library, will be on hand to demonstrate the e-book service at both events and answer questions. With the launch of 3M Cloud Library, WCCLS is adding e-book titles for readers of all ages – kids, teens and adults. Enjoy finding the latest bestseller or read one of those titles that never seem to go out of circulation. WCCLS will be adding more e-books to 3M Cloud Library over time, and working to keep hold queues short. We also will continue to offer the Library2Go service that you may already use and enjoy. WCCLS is adding this second e-book service to respond to your feedback and keep up with the ever-growing demand for e-books. We look forward to seeing you at one of the launch parties on the 23rd! 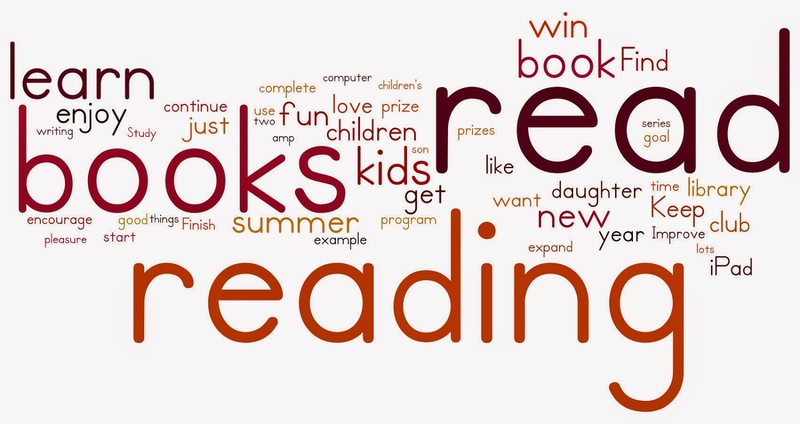 Thank you for participating in WCCLS’ Adult Summer Reading this year! Last week we randomly selected four lucky names from those of you who registered for the adult summer reading program either online or at your local library. With the help of our sponsors listed below, these four winners each received an Apple iPad Mini (winners have been contacted by their local library -- sorry if you were not contacted, but you're still a winner in our book!). In order to make sure our program meets your needs and is fun, we are asking for your feedback. We would appreciate it if you could take a few minutes to answer this very short, anonymous survey. The survey will close on September 30th. Gather together with family, friends and neighbors on Saturday, September 20 to celebrate 40 years of library service to the Cedar Mill & Bethany community! * A dog's nose print is as unique as a human fingerprint. * The average person walks about 80,000 miles in a lifetime. That's more than three times around the world! * A giant squid's eyeball can be as big as a human head. Find out more interesting facts about our world using our newest online resource! ... all in a kid-friendly interface. 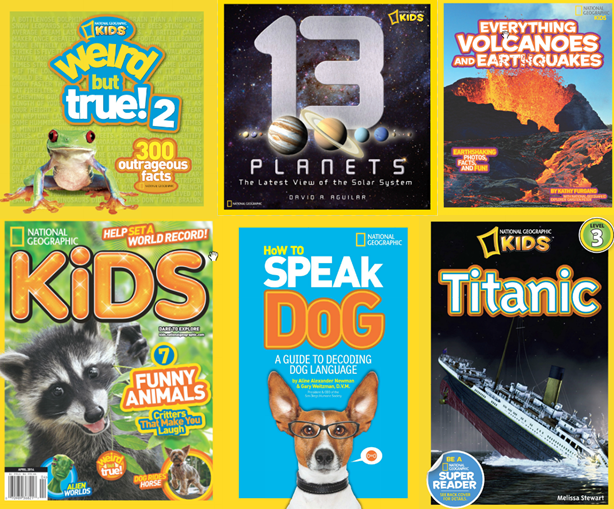 Check out National Geographic Kids with your library card handy!